I am looking forward to the challenges of the role of Deputy District Commissioner and supporting Rob. My scouting started as a Cub, a Scout, a Venture Scout and Assistant Cub Scout Leader at 71st Ayrshire in the village of Skelmorlie. With work bringing me to Edinburgh, I became ACSL and then CSL at 7th Leith. After a short work related break from scouting, I returned to Scouting as Assistant District Treasurer and have spent the last 3 years as Chair of the District Appointments Committee and Training Administrator (for the past year). Outside of scouting I am a Principal Information Analyst for the NHS supporting the Health & Social Care Partnerships and GP Practices in East, Mid and West Lothian. I am also involved with Bowls in the city and was Secretary of the Edinburgh Bowling League for 6 years. Scott Richards explains how Edinburgh North East District went about setting up their new website. 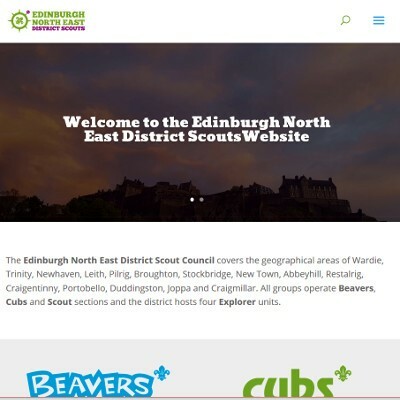 We’d been without a working District website for some time and were conscious that when parents in Trinity, Leith and Portobello were ‘googling’ local Scouting provision, the results were not particularly helpful, often pointing to one popular Scout Group website which is actually outside of the District. So, we initially consulted with the District Executive on what they wanted from a website – distinct from the Region and individual Group sites, and produced a working prototype to show them/gain feedback. Then we invited a wider BETA group of District users to try out the site and make suggestions for features. We logged the suggestions and have been working through the list with regular improvement releases. This ‘user-led’ development process helps ensure that we provide a website relevant to the needs of the parents and the Groups/Units. Paul Finch at the 64th ENE (Stockbridge) Group has been central to the website design and build. Separately, we’ve been experimenting with a private Facebook page for leaders only. The purpose of this page is to help leaders share district events and programme ideas quickly and allow online conversations about topics of common interest, away from public gaze. Again, we experimented with a small group of Scout leader users, which was successful, and we are now rolling this out to all leaders (on Facebook) in the district. Why not visit the site to see what has been achieved? 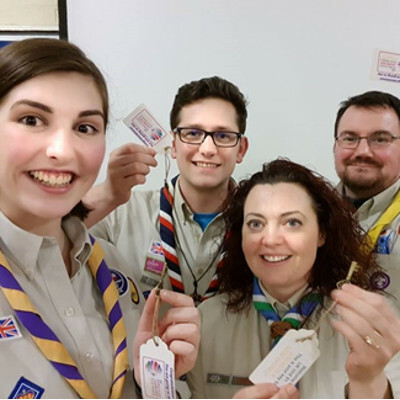 Almost 8 months ago the Jamboree journey began for the South East Scotland unit when our four Unit Leaders were selected from applicants across Scotland. 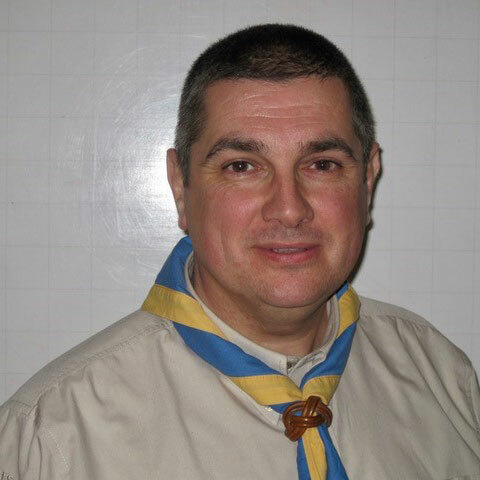 Leading the unit is Alan Gibson who is an Assistant Explorer Scout Leader with South Morningside Explorer Scout Unit (SMESU), Braid District. Making up the leader team are: Mark Petrie Cub Scout Leader 16th Craigalmond, Gillian Swarbrigg Assistant Scout Leader, West Region and Rhona Robb Assistant District Commissioner (AT), Clyde Region. All our unit leaders have a vast amount of Scouting experiences under their belts, including many International events and World Scout Jamborees including Japan, Sweden, UK and South Korea. We believe we have a strong leadership team ready to support the unit of 36 young people when they embark on their adventure of a lifetime to the 24th World Scout Jamboree to be held in West Virginia in the summer of 2019. Borders, Braid, Craigalmond, Edinburgh North East, Midlothian and Pentland. The first of five training weekends will take place in February when the unit will gather again at Bonaly for the weekend. This will be an opportunity for all the unit members to get to know each other, start forming their unit identity, plan different aspects of their training prior to the Jamboree and programming for the Jamboree experience itself. You can follow the unit’s progress over the next 18 months on our Facebook page https://www.facebook.com/sescotlandwsj2019/ where the young people will have the opportunity to share stories of this life-changing experience. This summer is gearing up to be a great one for trips abroad in the region, ranging from Jamboree visits to Explorer Belts, and much more in between. Continue Reading What’s Up this Summer? Could you be your District’s first ADC for Youth Involvement? Are you passionate about helping young people shape Scouting in partnership with adults? Then this could be the role for you! Continue Reading Could you be your District’s first ADC for Youth Involvement?